Amazon has revealed plans to begin delivering customer orders within 30 minutes by unmanned, miniature drone-style aircraft. Jeff Bezos, the ecommerce brand’s chief executive, announced that its Amazon Prime Air service could deliver packages weighing up to 2.3kg within half an hour of order. Amazon is reportedly hoping to launch to service within five years, subject to approval of the use of its ‘Octocopter’ drones by the US Federal Aviation Administration (FAA). The company posted a video on YouTube showing an order being made by a customer, the order being processed at an Amazon warehouse, and then being flown direct to the customer’s home by a drone. Amazon has also set up a microsite with details of the project. 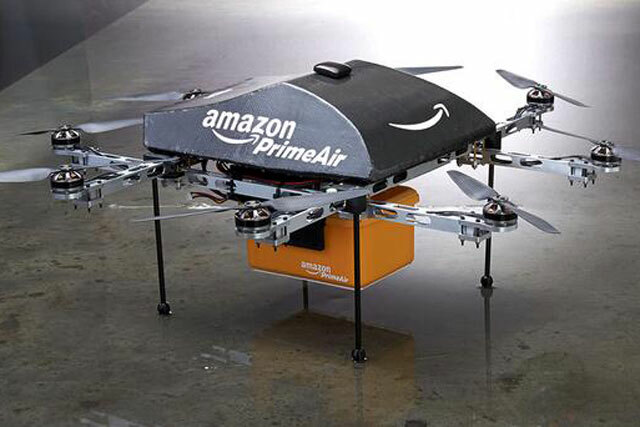 "We're excited to share Prime Air — something the team has been working on in our next generation R&D lab," said Amazon. "The goal of this new delivery system is to get packages into customers' hands in 30 minutes or less using unmanned aerial vehicles. Putting Prime Air into commercial use will take some number of years as we advance the technology and wait for the necessary FAA rules and regulations." Last month, Amazon was revealed to be gearing up for Sunday deliveries in London, with the service free to Prime members.